Skyler Wilding was free-diving with his friend Jeremy off the coast of Captain Cook. As they were heading in, he noticed the glow of a lobster's eyes reflecting off his dive light 20-25 feet below the surface. 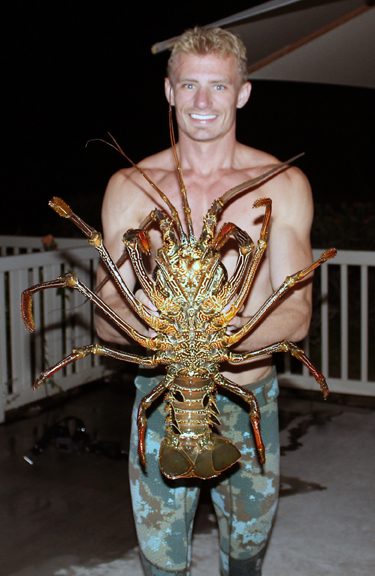 He handed Jeremy his speargun, dove down, and grabbed the spiny with both hands. Realizing it wasn't going to fit into his dive bag, Skyler bear-hugged the lobster and swam to shore.